While sharpshooters were relatively small in overall numbers, they did play important roles mainly as skirmishers and scouts but also as snipers. Their involvement and often heated military action, both Union and Confederate units, in the Battle of Gettysburg is often overlooked but shouldn’t be. The Pioneer “Corps” was a typically a large company-sized unit consisting usually of 50 to 75 men (normally two men chosen especially from each company in an infantry regiment) attached to the staff of each Union brigade or each Confederate division. Equipped only with axes, picks, shovels, spades and saws, these soldiers performed a variety of duties including the removal of fences and other obstructions in the path of advancing troops. Their role in the Battle of Gettysburg is seldom mentioned but should be recognized. While the newspaper and magazine reporters of both the North and South published millions of words on every aspect of the Civil War, hundreds of reporters chronicled the fighting firsthand on land and at sea. They overcame many challenges and hardships, including uncooperative sources and the difficulty of getting their stories back to their editors, and some reporters were killed or captured. But who were the reporters who were at the Battle of Gettysburg? Nineteenth Century military theorist Baron Antoine Henri De Jomini defined logistics essentially as "the practical art of moving armies and keeping them supplied." While most military books on the Battle of Gettysburg and the Civil War (and for that matter, any war) focus on the fighting, very few books cover the topic of logistical operations and the role they play in a successful military campaign. The Battle of Gettysburg is no exception. In addition to the relatively few but well-known photographs of the battlefield taken by a handful of famous photographers including Matthew Brady as well as Alexander Gardner and his assistants Timothy O’Sullivan and James Gibson, many of the lesser-known images were taken by local photographer William H. Tipton, whose collection contained over 5,000 battlefield views, many of which became the basis of the Gettysburg National Military Park’s collection. Truly an interesting facet that is often overlooked is the trio of battlefield reunions held on the 25th, 50th, and 75th anniversary of the Battle of Gettysburg. The human interest stories alone make for worthwhile and insightful reading when exploring these attempts at reconciliation between former enemies. While it is true that the Union Army under General George Meade essentially fought a defensive battle at Gettysburg, he did consider and begin to implement offensive plans to mount an attack on July 2 and also to counterattack on July 3 after Pickett’s Charge, but very little has been written about these aspects of the battle until recent years. I plan on taking a side-trip in 2009 to Hanover. The skirmish on June 30 in Hanover between Union cavalry under the command of General Judson Kilpatrick and Confederate cavalry under the command of General J.E.B. Stuart resulted in a stand-off, and forced Stuart to head to the east instead of west, which resulted in a further delay in his effort to link up with the main body of the Confederate forces. A self-guided tour with 18 wayside markers was established in 2005 by the Hanover Area Chamber of Commerce, which had previously published a well-written and detailed account in 1963 entitled "Encounter at Hanover: Prelude to Gettysburg" (see my "Books Worth Reading" page). The book was reprinted in 1985, but may still be hard to find. If you can track down a copy, it makes for excellent reading. I would think that almost every Battle of Gettysburg buff knows at least a few of the other names that Little Round Top went by before the battle, such as "Sugar Loaf Hill" or the "granite spur of Round Top", but there are many areas and geographic features with more than one name. Along with the statues of famous generals and colonels, there are other lifelike images in stone or bronze of actual soldiers who also fought at Gettysburg which can be found on many of the smaller monuments. There was another colonel and another regiment that defended the far right flank of the Union Army on Culp's Hill on July 2 in hard fighting and tactics (including a bayonet charge) just like Colonel Joshua L. Chamberlain and his men of the 20th Maine Infantry Regiment on Little Round Top. In addition to the so-called "Stonehenge" of the battlefield (see my "Odds and Ends" page), there is also what is known as the "Sphinx" of the battlefield. With the reopening of the Pennsylvania monument on Cemetery Ridge just a few years ago after an expensive 2-year renovation, you can once again go to the top of the monument and get wonderful views of the battlefield. Union General George Meade's "Pipe Creek Circular" of June 30, 1863 with plans for a defensive "fall-back" position is often used to criticize him as a timid field commander. What exactly did it say, who did or did not receive it, why was it not carried out, and should it have been ??? The first Union soldier killed in action at Gettysburg was shot by Confederate troops not on July 1, 1863, but on June 26, and he was actually born in the Gettysburg area. While graves of Confederate soldiers can be found in many cemeteries throughout Pennsylvania and northern Maryland and not just in Gettysburg, there is one Confederate soldier who is still buried in a marked grave along the Susquehanna River just north of Wrightsville. Starting in 2008, I plan on taking (or retaking) many of the National Park Service "Battle Walks" that focus on the lesser known or least accessible areas of the battlefield such as the "lost avenue" (see my "Off the Usual Path" page). I will give a report and add photos after each one of them on this website on my "Battle Walks" page. From what I have read and learned, there were perhaps as many as 5,000 Union soldiers and a similar number of Confederate soldiers who were taken prisoner during and after the battle. 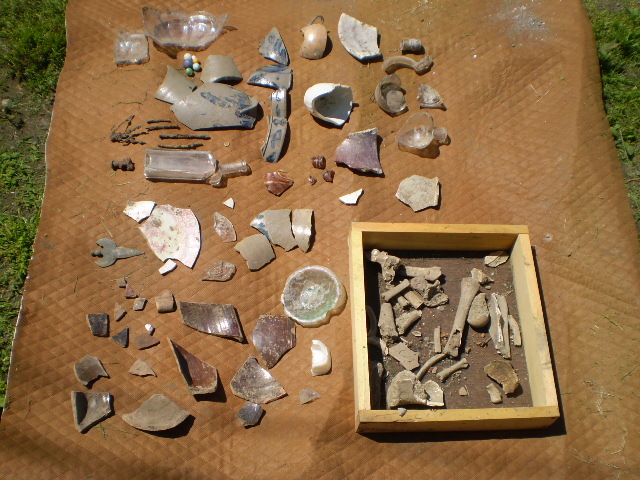 Many of them did not survive their captivity, with many of the Union prisoners ending up at the infamous Confederate prison at Andersonville, Georgia. What is too often overlooked is that many Confederate prisoners died as well at prisons like Point Lookout, Maryland, and Elmira, New York. The terrible plight of prisoners, both North and South, is often forgotten by historians and buffs alike, but it should not be. 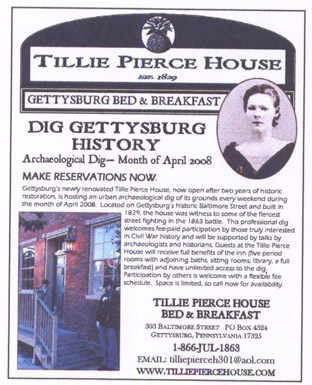 I will be helping with an archaeological "dig" in April of 2008 at the Tillie Pierce House, located at 303 Baltimore Street in Gettysburg (see my "Something Different" page). 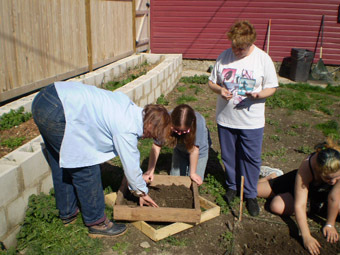 After undergoing a long and an extensive restoration lasting more than two years, the house opened as a "Bed and Breakfast" in November of 2007, but before the final landscaping in the back yard is completed this spring, a month-long archaeological "dig" is planned by the owners, Keith and Leslie Grandstaff (Leslie has a degree in archaeology). 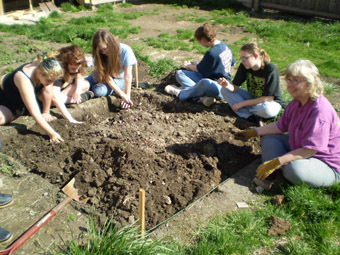 I will give a full report afterward on what is found !!! Although there are roughly 390 Civil War cannon (or to be more accurate, cannon tubes) placed throughout the battlefield, I believe only a handful (less than 10) of the 170 which may have seen service at Gettysburg during the time of the battle have actually been documented as such. I am currently attempting to track down the exact number and their locations. In addition, I will also include some photographs of the cannons named "Cora" and "Penelope", and perhaps add a few surprises as well. While every buff knows about the area known as Devil's Den, how many have heard of the "Devil's Kitchen" or the "Devil's Slipper"? I will have more information and photographs of these rock formations and others on this website in the spring. While most buffs are aware of and perhaps also visited the monument to the 20th Maine Infantry Regiment that is located on the southern spur of Little Round Top, I wonder how many are aware of (and visited) their other monument located on Big Round Top? I will be adding more topics on this page from time to time as to what I am currently or will be working on, so come back often to my website !! !